The trend of warm day highs and pleasant nights would continue all across TN with the exception of western regions of the state which would continue to see marginal increase in temperatures during the day time. Chances of isolated showers expected over southern regions of the state. Northern plains, J & K, Sub Himalayan regions will continue to remain under the blanket of cold weather with isolated showers over few pockets. Chennai – A cool and comfortable morning leading to a bright and sunny day with day highs expected to peak around 31 degrees. 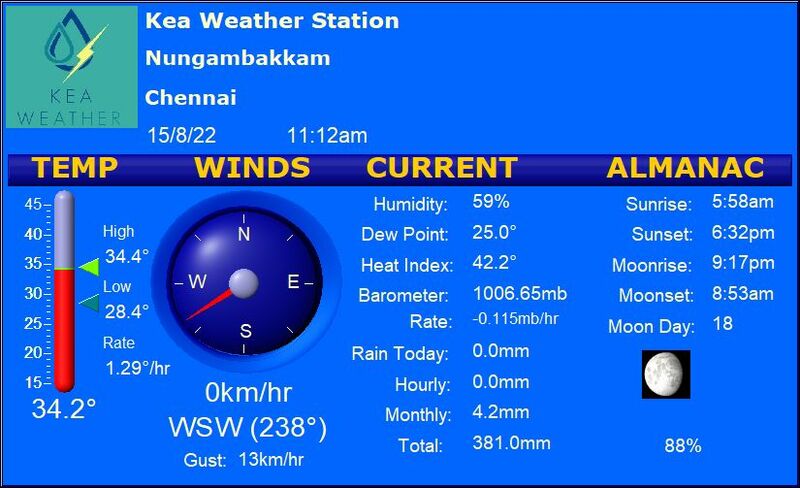 Coimbatore – Fairly dry weather in the offing with day max hovering around 33.5 degrees. Nights will remain nippy. Madurai – A cloudless sky across the region. Day high to hover around 35 degrees. Trichy – Yet another warm and sunny day to expect with day max peaking at 34 degrees. Vellore – A relatively nippy morning over the region. The day highs will peak around 33 degrees.